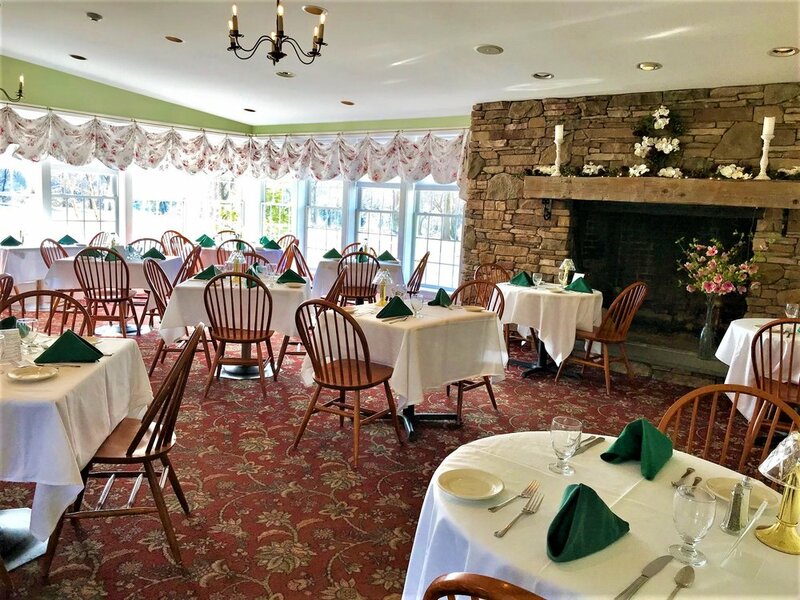 Our guests enjoy gathering for a meal, meeting, or celebration in our spacious, main floor dining room. This beautiful room with many large windows offers views of the meadows and Rising Sun Inn barn. Additionally, the unique and massive stone fireplace adds character and charm. The dining room allows for approximately 70 guests. Our Banquet Manager is always ready to assist with planning your special event in this very special space. Located on our second floor, this elegant and private dining room allows for approximately 50 guests. 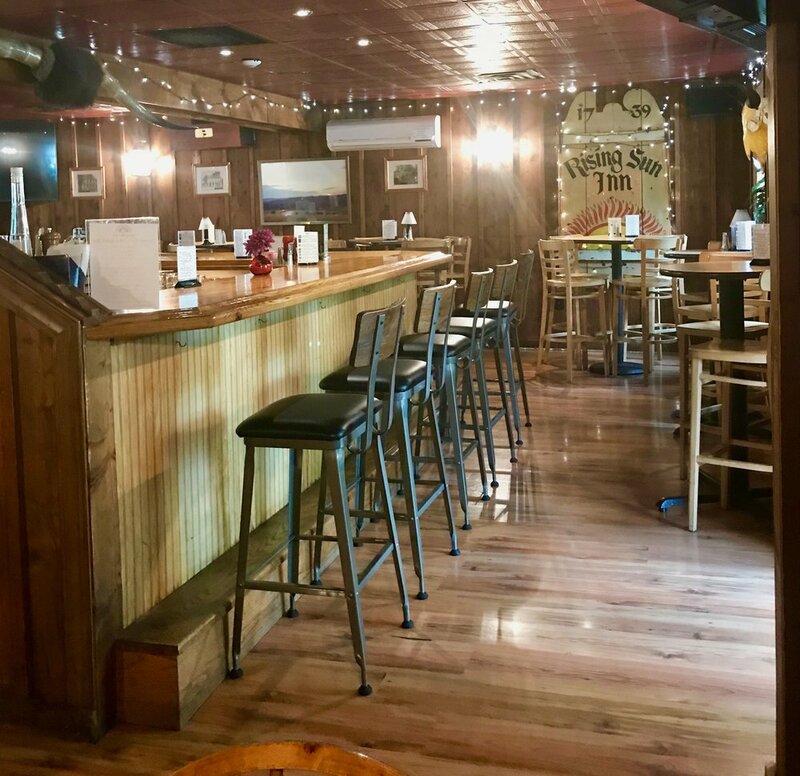 Enjoy Happy Hour, great food, and weekly live entertainment in our tavern. Host your gathering in our rustic and charming barn. 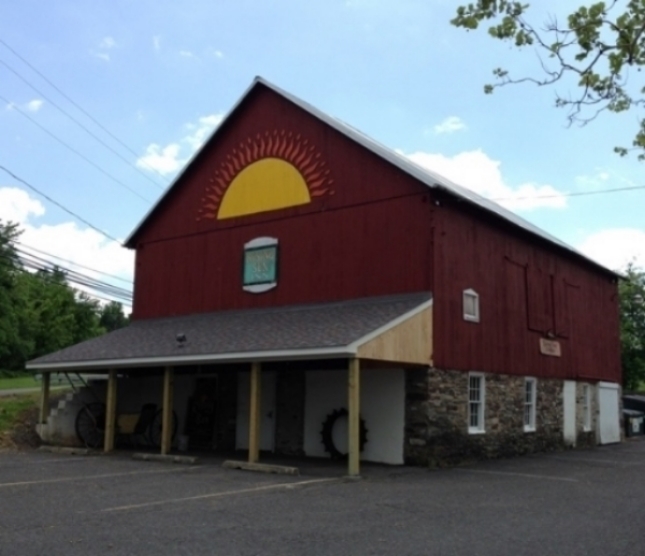 The barn is a heated venue (for slightly chillier weather).